Latest stable ColorOS 5.2.1 update for Realme U1 starts rolling out. The update brings fingerprint shooting for the camera, improved HDR for the front camera, January 2019 security patch and many more. Follow below guide to Download and Install ColorOS 5.2.1 for Realme U1. ColorOS 5.2.1 update for Realme U1 rolling out via OTA and users will get the update soon. Realme U1 ColorOS 5.2.1 update comes with a build number RMX1831_11_A.05 and has 2.3 GB in size. ColorOS 5.2 stable OTA for Realme U1 is now available for download which can be flashed via stock recovery. Note: – Make sure you at least 2GB of free space on your device and battery level should be 75% before you Update Realme U1 to ColorOS 5.2.1. The update will be official and will not delete your data but it is still recommended to take a backup of your data. Download ColorOS 5.2.1 OTA update from above. Copy the package to the root directory of your phone. Now boot your phone into Recovery mode by Turn off your phone and Press and hold the Volume Down and the Power buttons simultaneously. Select the ColorOS OTA package and tap OK to install the OTA. Once installation completes, tap Reboot. 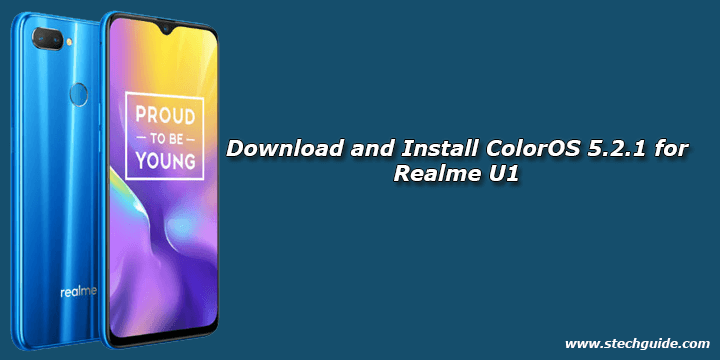 This is the easiest way to Download and Install ColorOS 5.2.1 update for Realme U1. Let us know your experience if you receive the update. Stay connected with us via Facebook, Twitter, and Google Plus to read more such helpful posts.